Should Your Hire a PT Practice Marketing Coordinator? Should You Hire a PT Practice Marketing Coordinator? To Hire, Outsource, or DIY? Q: What percentage of your monthly budget do you spend on marketing? Now convert that percentage into working hours. For example, you spend 10% of your budget on marketing. Then, you should spend 10% of your working hours (40 hrs/week x 4 weeks/month) or 16 hours a month on planning and implementing your marketing plans and campaigns. That’s two full days a month just working on promoting your practice. Sometimes, you find that you cannot commit the same percent of budget and time to your monthly marketing endeavors. Then, you should hire a practice marketing coordinator. Writing news stories, compiling information to send to your agency, managing the mailing lists, and brainstorming new promotional ideas. Ultimately, they own editing page content, writing and publishing blog posts, monitoring analytics and search engine rankings. Also, they should manage integrating the website with other print or digital campaigns. The marketing coordinator writes posts, monitors engagements on corporate accounts, and routinely checks and responds to online reviews. Additionally, they incorporate new trends or features into your accounts. Planning office visits, distributing extra copies of printed materials, networking with new referral partners, expanding relationships with community associations, and troubleshooting any changes in stats or referrals. Writing press releases, planning announcements and practice events, handling business partnerships, and developing media contacts with local networks. Your ideal coordinator should also be able to seamlessly handle the “tough” stuff that might result from a promotion or marketing campaign. Handling disgruntled direct mail recipients, drops in website performance, negative online reviews or social media comments, decreasing referrals, community alliances/mergers, unfavorable press etc. 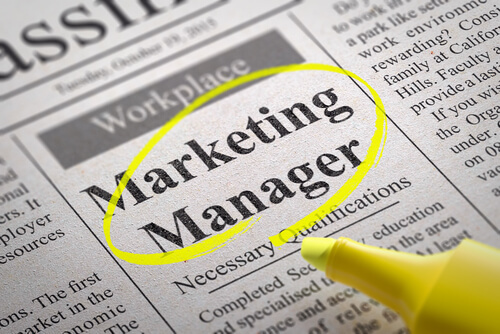 are all components of the marketing coordinator’s role. Similarly, they need to have the “soft skills” and experience to smooth over disagreements, remediate declining stats, and resolve situations with referral and media networks. A past patient posts a negative review on Yelp, what would you do? A new office staff member at the local doctor’s office doesn’t like our PT and isn’t sending us any referrals. What are three approaches you would try to remedy the situation? A competitor has started a network with local health clubs and is now their “preferred physical therapy partner”. How would you engage these businesses to build our relationship with them and their members? For more tips on recruiting a rock star physical therapy practice marketing coordinator, check out our recruiting mailers and postcards and contact our concierge account management team. We have years of experience both in private practice and as marketing experts and will help you implement campaigns and promotions that get proven results for your practice.